Kangana Ranaut is currently shooting for Manikarnika: The Queen of Jhansi. The movie which is being directed by Krish also stars Ankita Lokhande, Jisshu, Atul Kulkarni, Sonu Sood and is a biopic on Rani Laxmibai. Initially, the movie was supposed to release on April 27, 2018, but was ultimately deferred. Now, according to a leading tabloid, the movie may be looking at an Independence Day 2018 release. A source informed the tabloid, “Principal shooting for Manikarnika: The Queen of Jhansi will wrap up by March. However, an elaborate post-production schedule will follow. There are opulent was sequences and fight scenes, hence, abundant VFX work will be done on the film. The makers estimate a minimum of three to four months to complete it. What’s interesting to note is that there already is a movie slated for an August 15, 2018, release and that is Akshay Kumar’s Gold. The movie which is being helmed by Reema Kagti also stars Kunal Kapoor, Amit Sadh and Mouni Roy and is based on the first Olympic gold won by Team India post-independence. Looks like this is going to be a major clash indeed. Which movie would you prefer to watch – Manikarnika or Gold? Let us know in the comments below. Recently, just like Padmaavat, Manikarnika faced objection by Sarva Brahman Mahasabha, a Brahmin group from Rajasthan for apparently distorting facts. “The film’s title is Manikarnika because it is her name! Her parents named her that because she was born in Kasi and the Manikarnika Ghat there is very famous. Even I named my daughter Manikarnika, so you now know how much I respect Rani Lakshmibai,” Prasad further added. 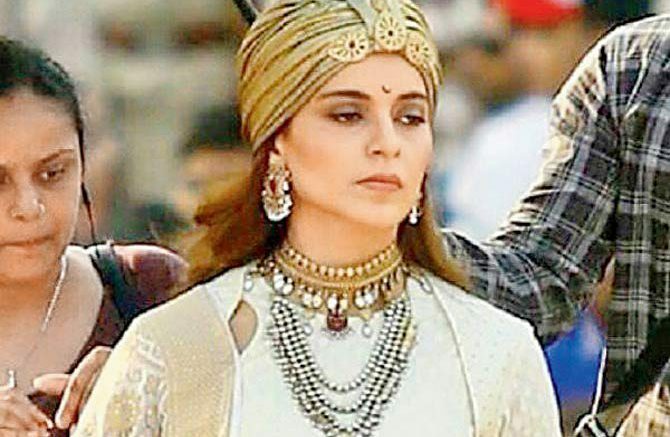 Be the first to comment on "Kangana Ranaut’s ‘Manikarnika: The Queen of Jhansi’ to clash with Akshay Kumar’s ‘Gold’?"